Enjoy great additional income by becoming a SkyCards.eu dealer today! UK TV Trade dealers. We are always looking for trade partners in new areas. We can forward customers to you. Would you like to provide services that will allow you to earn unlimited commission? As Europe’s largest supplier of UK TV we would love to hear from trade dealers, specifically outside of Europe, who can help us expand our business into the following areas; China, India, Thailand, Philippines, Taiwan, Hong Kong, South Korea, Japan, Qatar, Oman, U.A.E., Canada, USA, Mexico, Brasil, Argentina, South Africa, Russia, Australia and New Zealand. So whether it’s Sky TV , Now TV or Sky Go we can offer the very best service for you and your customers. So if you have a business in one of these areas or would like to offer any of our services as an expat to customers why not let us know. We are still looking for trade partners in Europe to expand our customer range in new areas and for new products. 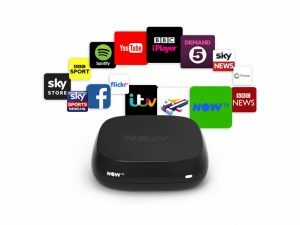 For Sky TV (both boxes and cards), VPN services and routers, Now TV, sky Go and IPTV we are still looking for companies and individuals in Europe. So if you would like to become a trade partner of British and United States services in the following areas please contact us. We can send free demonstration units. Portugal, Spain, France, Germany, Norway, Sweden, Denmark, Finland, Russia, Luxembourg, Netherlands, Belgium, Switzerland, Italy, Austria, Slovenia, Croatia, Bosnia, Greece, Romania, Bulgaria, Serbia, Hungary, Slovakia, Poland, Ukraine, Belarus, Latvia, Lithuania, Estonia and more…. We have great trade prices and very good commission rates on VPN services. Would you like to become an official SkyCards.eu dealer? Please complete and submit the form below or give us an email and we will contact you straight back. What is the nature of your business at the moment? Please tell us, in your own words, why you think you could sell Skycards products?